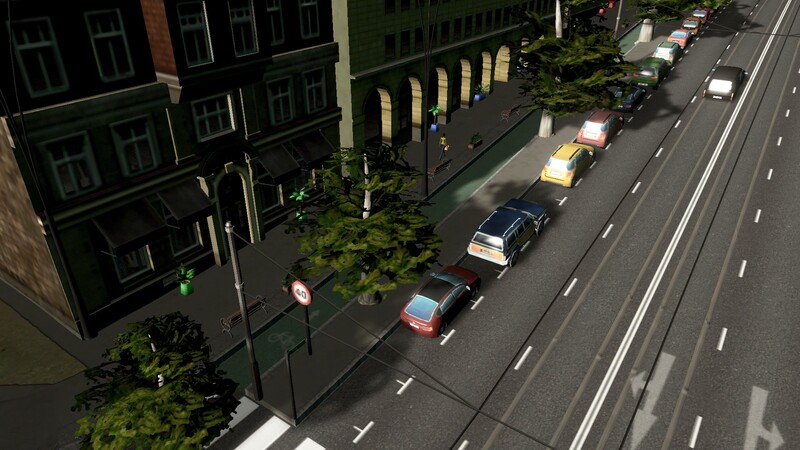 Airport Lines, The Airport Access Business Case and Light Rail. Dominoes all falling into place! 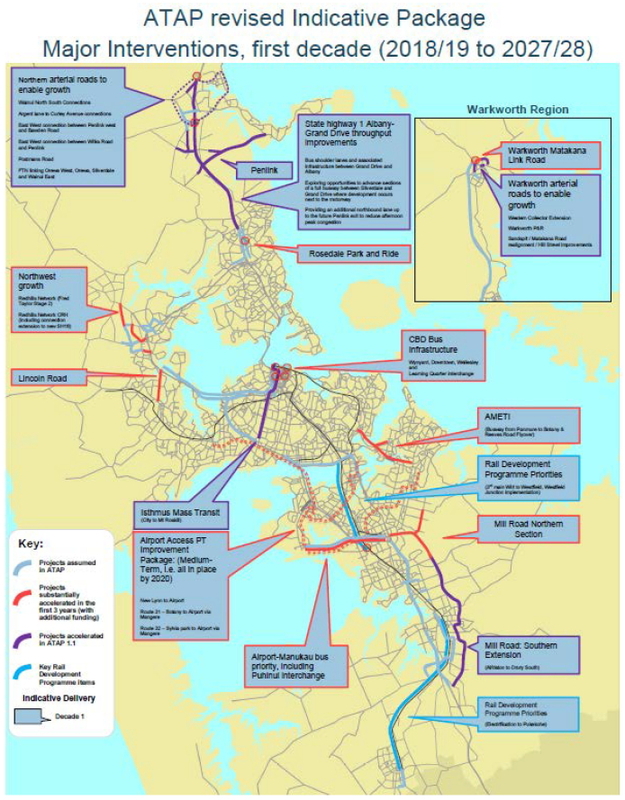 The excitement is building since I blogged recently that Auckland Transport had released tender documents on the first stages of the Southern Airport Line build from the Airport all the way to Botany. 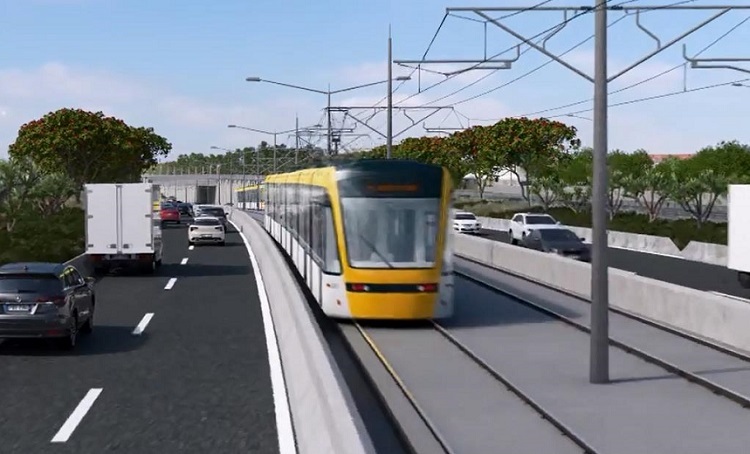 Auckland Transport late last week had re-released tender documents into the Government procurement site reflecting the Government’s desires to have the Southern Airport Line completed by 2021 to Manukau and 2023 to Botany. This will be five years ahead at the minimum of the full completion of the Northern Airport Line from the City Centre to the Airport via Dominion Road. First of all we need the Airport to recognise there is a congestion problem. 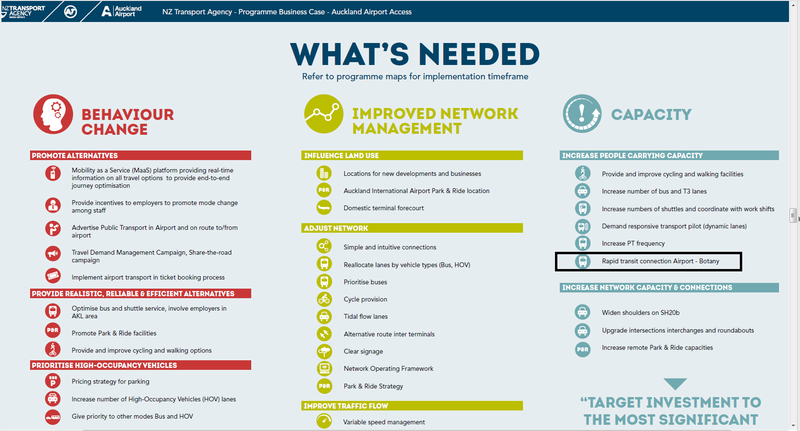 Yep the Airport certainly knows this and in coordination with NZTA and Auckland Transport set about doing a Airport Access Programme Business Case which is current as of June 2017 (so prior to the formation of the new Government and AT setting the tender documents on the Southern Airport Line). The second is an alignment of the bus and/or light rail route from the Airport to Botany via Puhinui Station and Manukau City Centre. 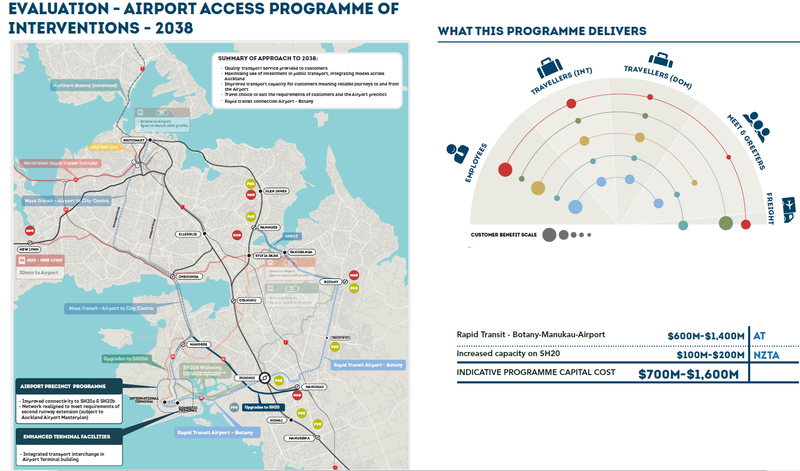 This was done by Jacobs for Auckland Transport in May 2017 and again like the Airport Access study this was done before the formation of the Labour-led Government and the release of the AT tender documents setting completion dates by 2023. The Airport Access Case is only 18 pages but comprehensive in spelling out the case. 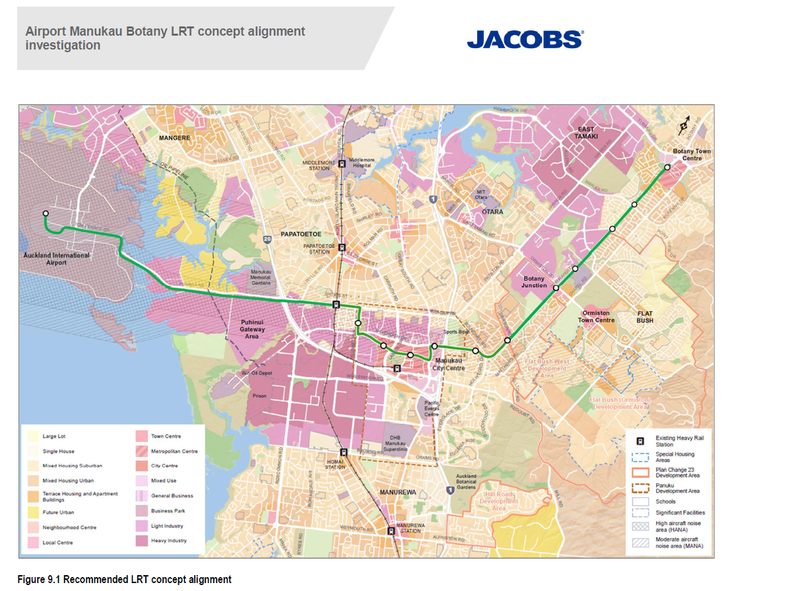 Rapid Transit from the Airport to Botany also known as the Southern Airport Line – by 2038. You can see the gradual roll out of both Airport Lines. 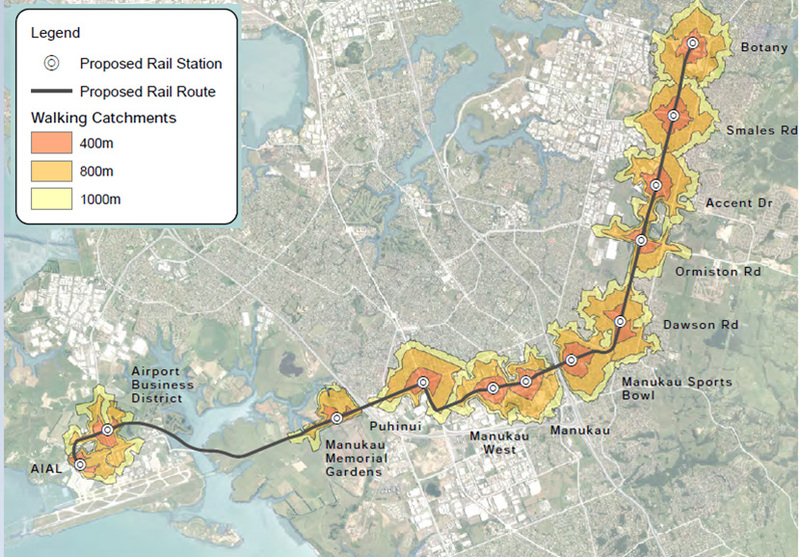 By 2020-2021 you can see the bus connections from the Airport to Manukau (2023 to Botany) with by the looks of it Light Rail done by 2038. 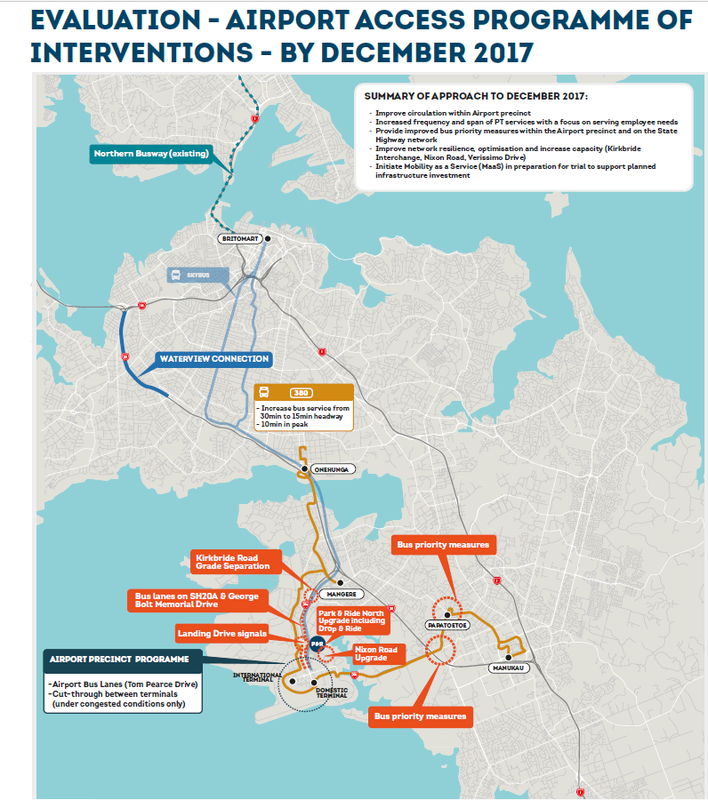 This is consistent with the Auckland Transport Alignment Project (pre Election 2017) but no longer consistent with the expectations of the new Labour regime. 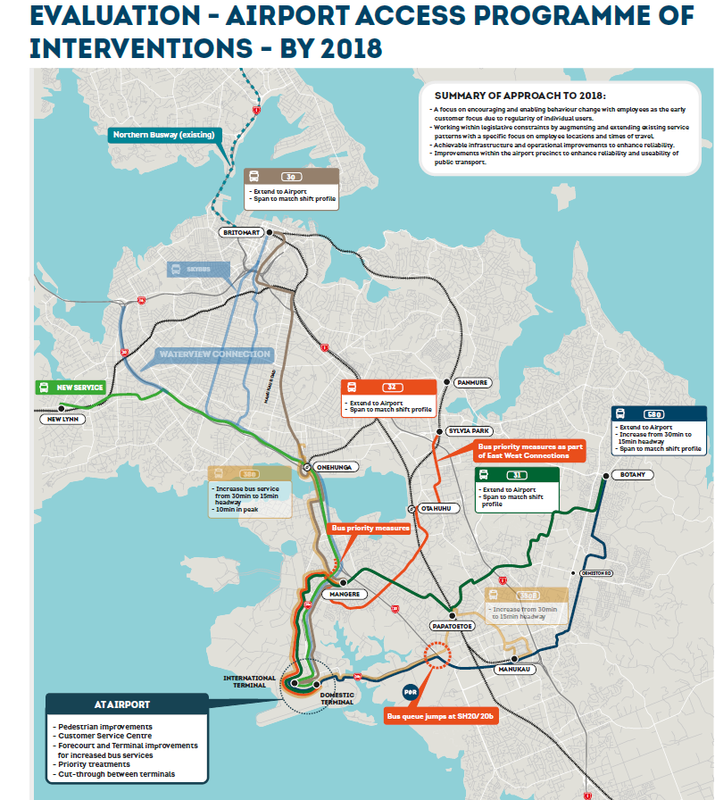 You can see the Airport to Manukau section being sped up although the Auckland Transport tender documents also want the Botany Interchange done by 2023 as well. The question around Light Rail verse Bus for the Southern Airport Line I answered here: Should the Southern Airport Line be Light Rail or a Busway? The tl:dr version being yes it should up to Manukau. 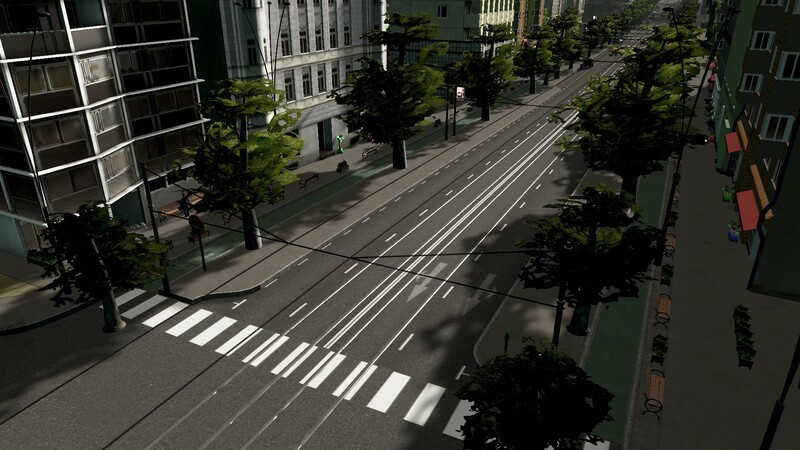 This brings us to the next question: the Light Rail Alignment to Botany from the Airport. Which way should light rail go on the Southern Airport Line? 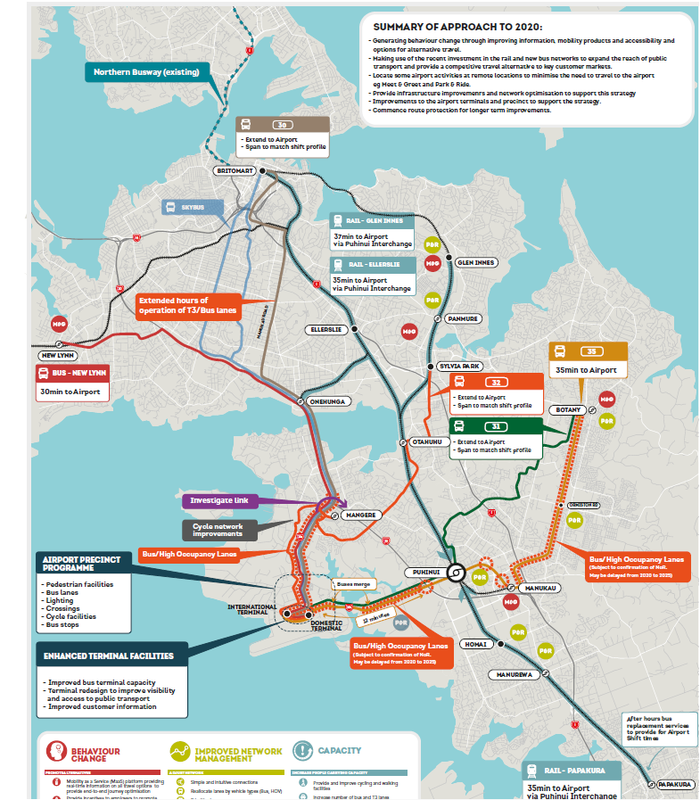 Auckland Transport attached the 120 page alignment report as part of the tender documents package for the Southern Airport Line. It is a blend of Options 1 and 3 utilising the Puhinui Interchange and Te Irirangi Drive. 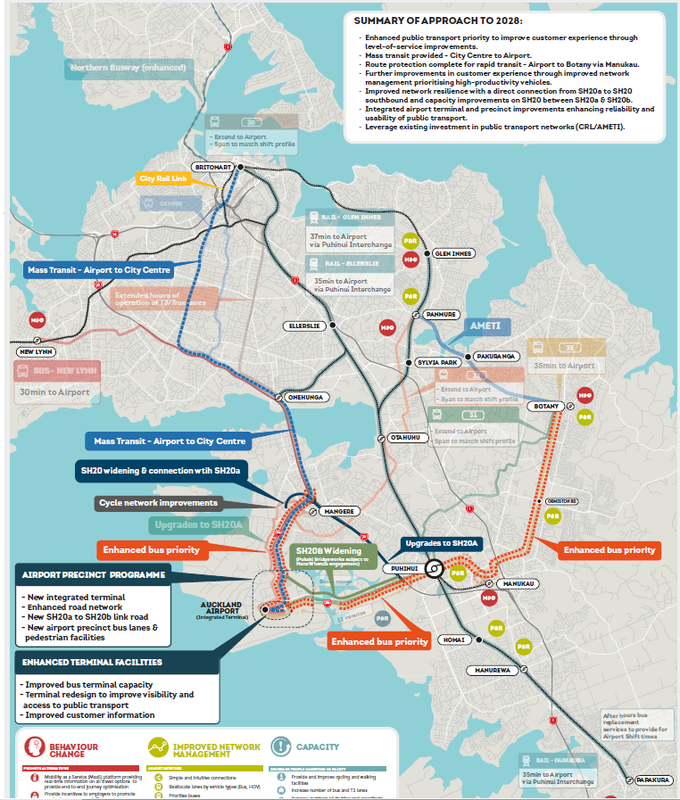 I agree with it all except the line not intersecting the Manukau Bus/Rail Station where it should be before resuming its course to and along Te Irirangi Drive. 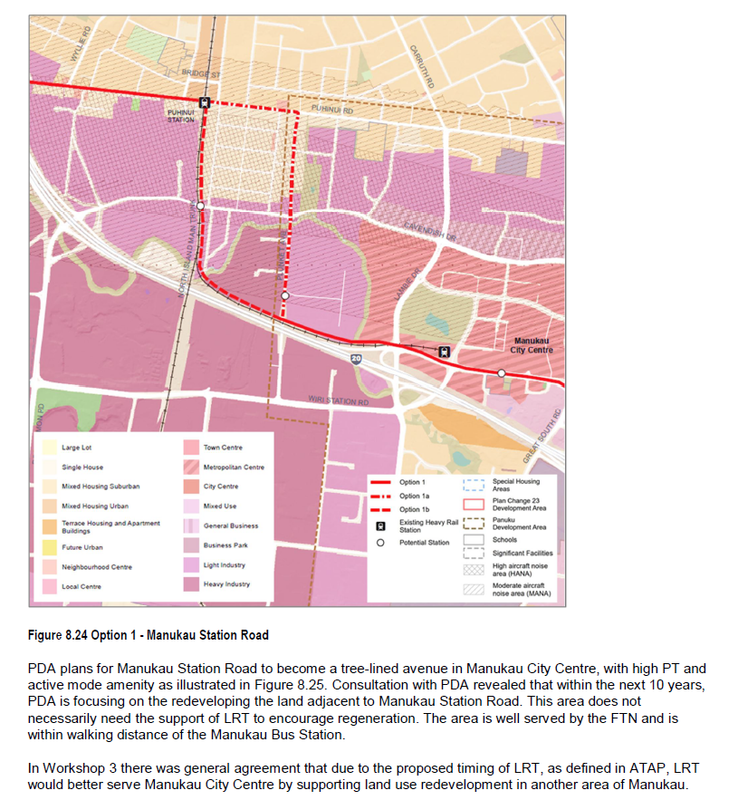 According to the Panuku Workshop around the Manukau City Centre section alignment the reason why the Southern Airport Line did not intersect with the Manukau Bus Station is that because it was felt the LRT line would not trigger further urban regeneration thanks to the busses going along Manukau Station Road. 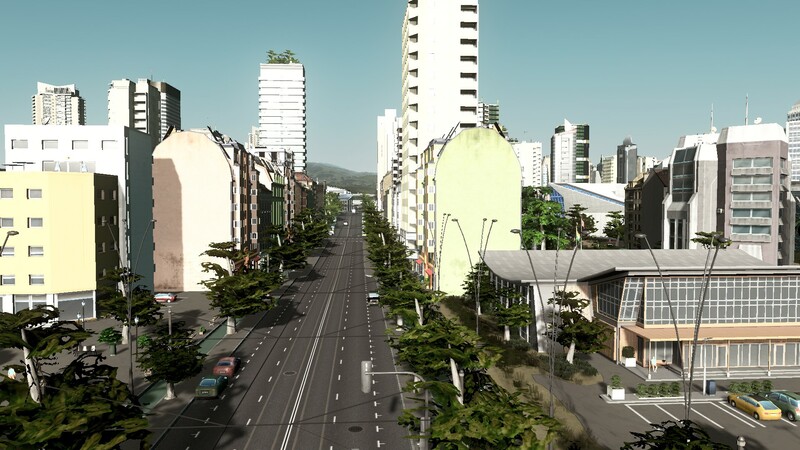 It was deduced that putting the LRT line down Ronwood Avenue would act as a catalyst to urban regeneration along that central east-west spine in Manukau City Centre. Well I am sorry that alignment is underwhelming and let me tell you why. The 33 bus is the Frequent Transport Network option that travels through both Ronwood Avenue and Manukau Station Road. 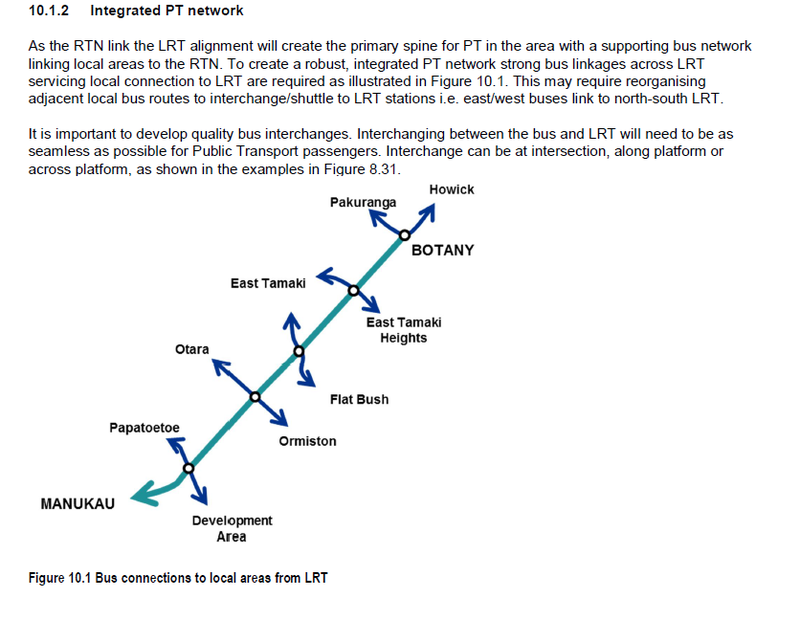 Both roads also have connector busses running through it so Panuku’s argument about Manukau Station Road not needing the light rail line as it is served by the Frequent Transport Network (the 33 bus) is completely wrong as that same 33 bus also serves Ronwood Avenue. What Panuku has failed to see is why the Southern Airport Line connects up with the Manukau Bus Station. 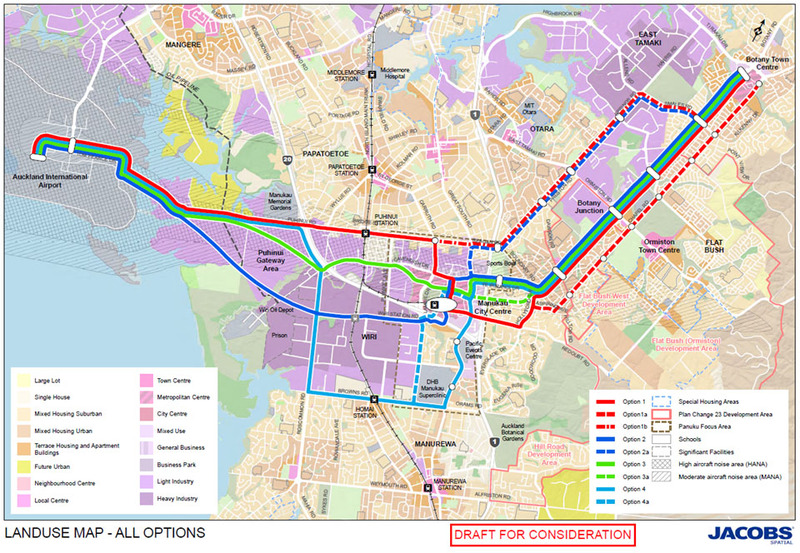 It is not about regeneration for Transform Manukau as the 33 bus already does that in the area it runs. It is about those who catch the busses to the Manukau Bus Station (who do NOT have access to the Southern Line) being able to make the transfer connection from their bus at the bus station to the Southern Airport (light rail) Line from its station right next bus station. Not get off your bus then go for a walk down or up hill (depending on which way you were going) then board your train to the Airport – that is not how transport interchanges and transfers work Panuku! 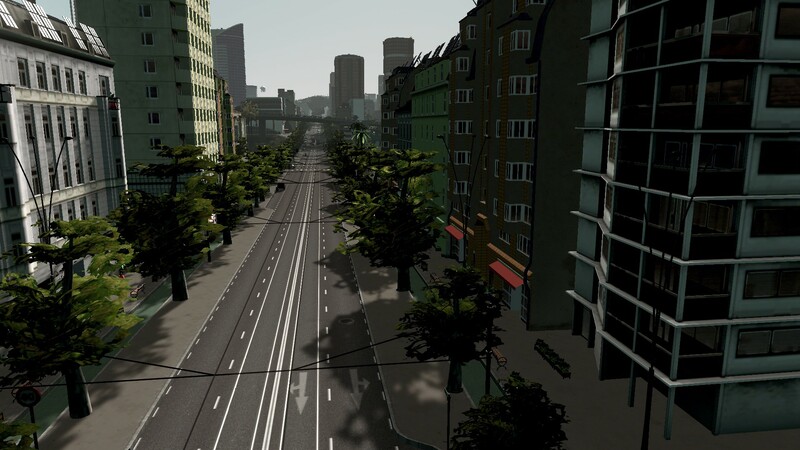 How to create a four lane boulevard with light rail, tree-lined and separated cycle paths. Remember ask yourself is the Southern Airport Line there to maximise catchment like the Northern Airport Line or is it there to serve a rapid transit mode to the Airport (express running)? As I mentioned in Northern Airport Line Verses Southern Airport Line and All the Options in Between. What Are We Wanting to Achieve? the Southern Airport Line is designed to serve as a rapid transit mode. 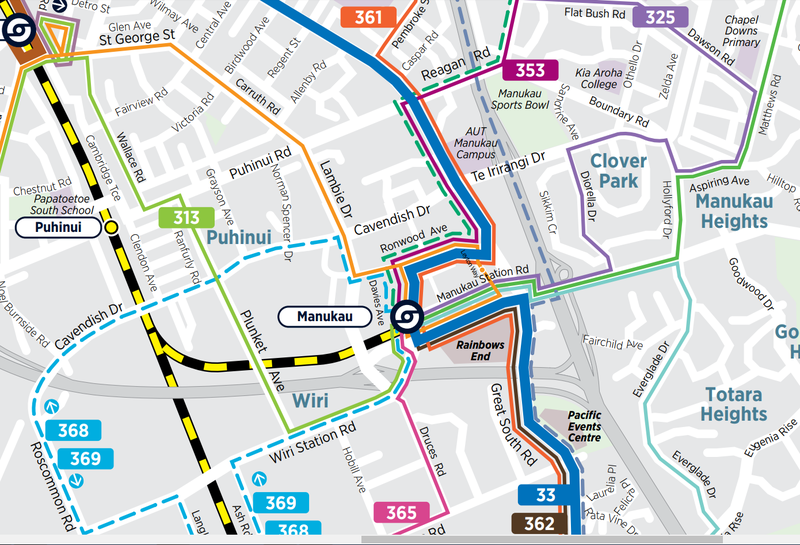 The busses like the 33 Great South Road bus and all the other connectors into Manukau Bus Station act as your catchment maximisation tool. 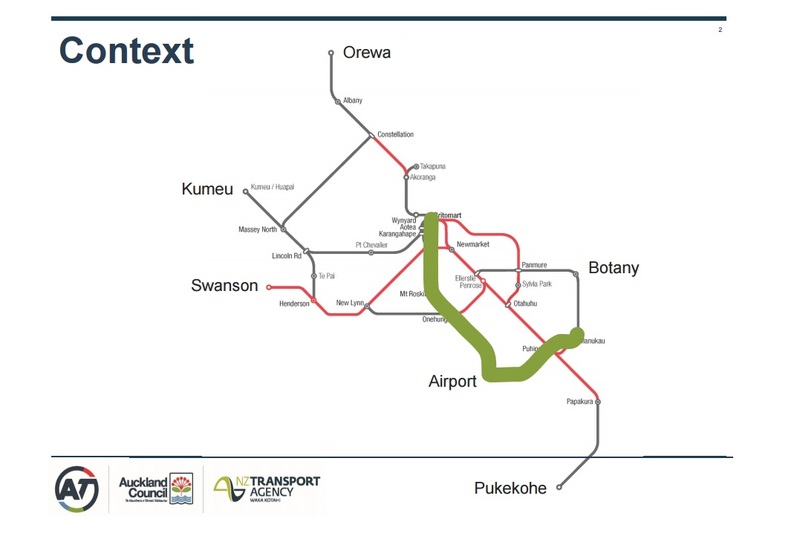 Quite interesting that it proposes light rail/bus interchanges yet Panuku misses this with linking up the Southern Airport Line with the Manukau Bus Station. Manukau City Centre aside (with lining up the Southern Airport Line and the Manukau Bus Station) the dominoes are certainly falling into place for the Southern Airport Line. 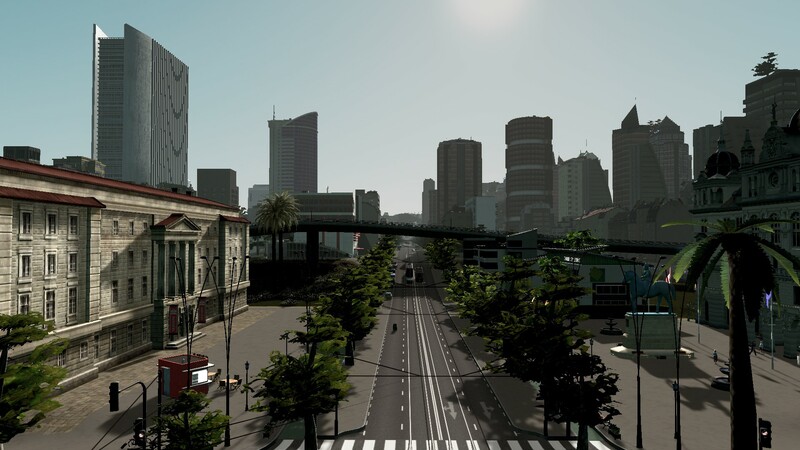 The business cases are in position with tender documents out from Auckland Transport. 2021 is when the Airport to Manukau portion of the Southern Airport Line is done with 2023 to get it to Botany. 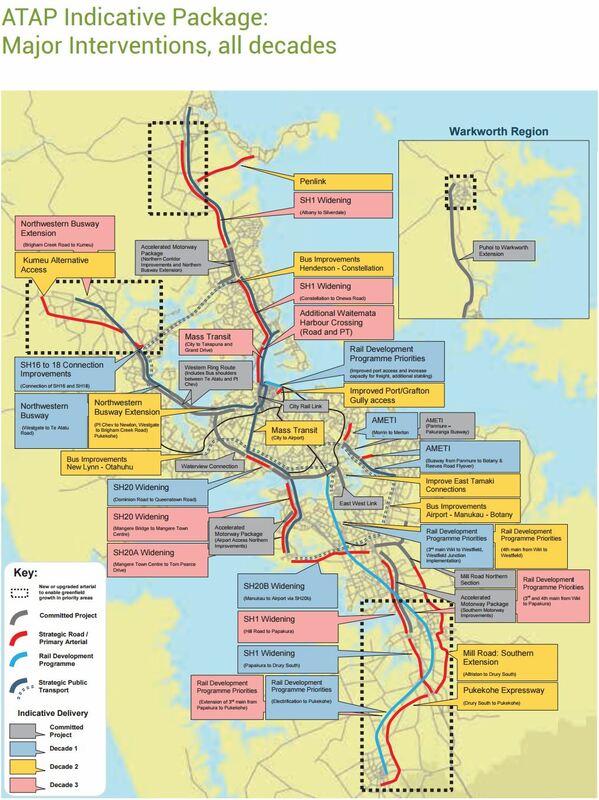 Right now this is for Bus Rapid Transit however, I think we can get Light Rail from the Airport to Manukau by 2021 with it going to Botany by the 2030’s if not sooner.